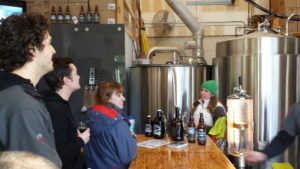 As brewery tour guides we visit a lot of breweries in our job! 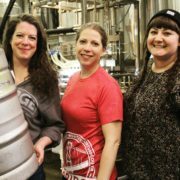 Each brewery has their own story, their own personality and each is unique in its own way – which is what makes the craft beer community so special in Vancouver. 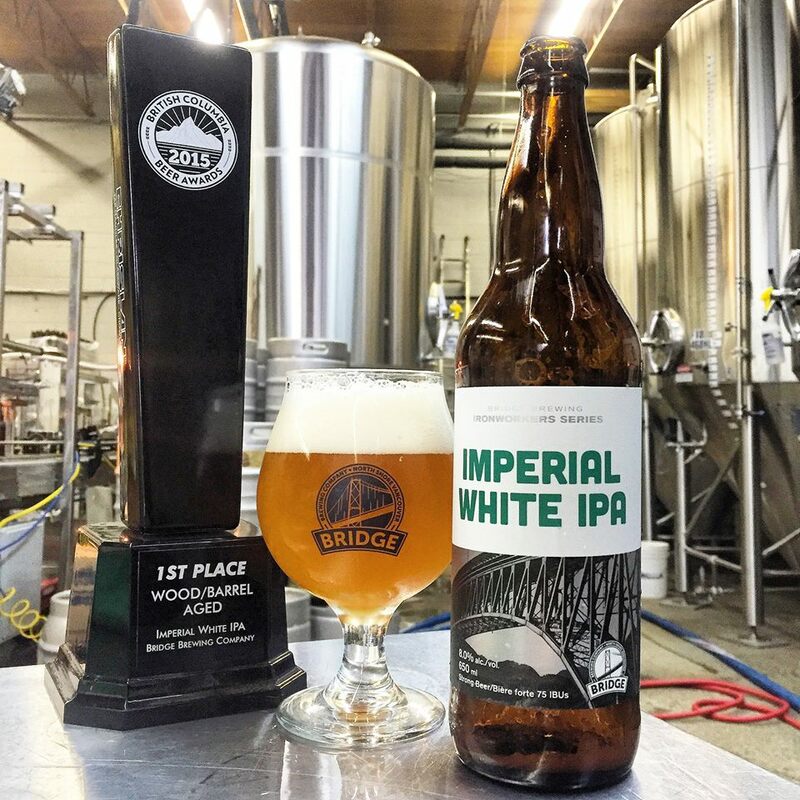 While we all get to see the finished products; the new beers, the newest growler designs, the new beer labels, seldom do we get to hear the story behind the brewery and all the work and long hours that go into that delicious beer in our hands. And there are alot of very inspiring stories out there. 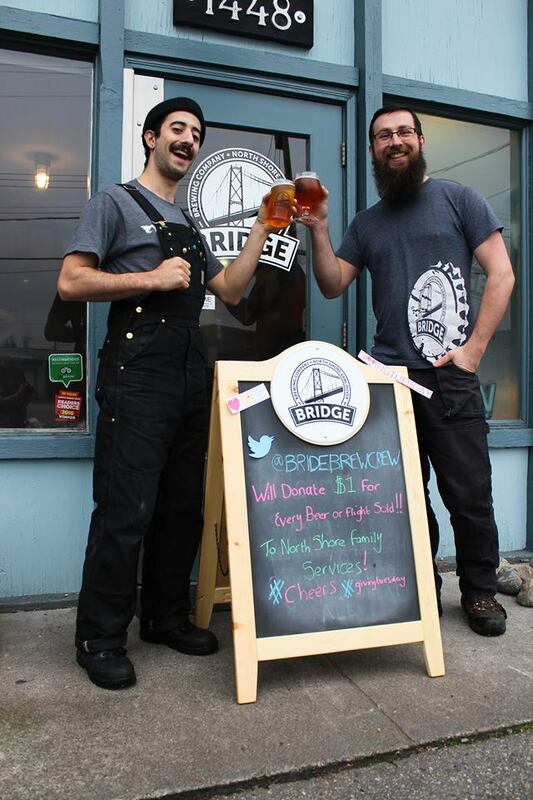 Perhaps one of the best stories in town comes out of North Vancouver’s very own Bridge Brewing. 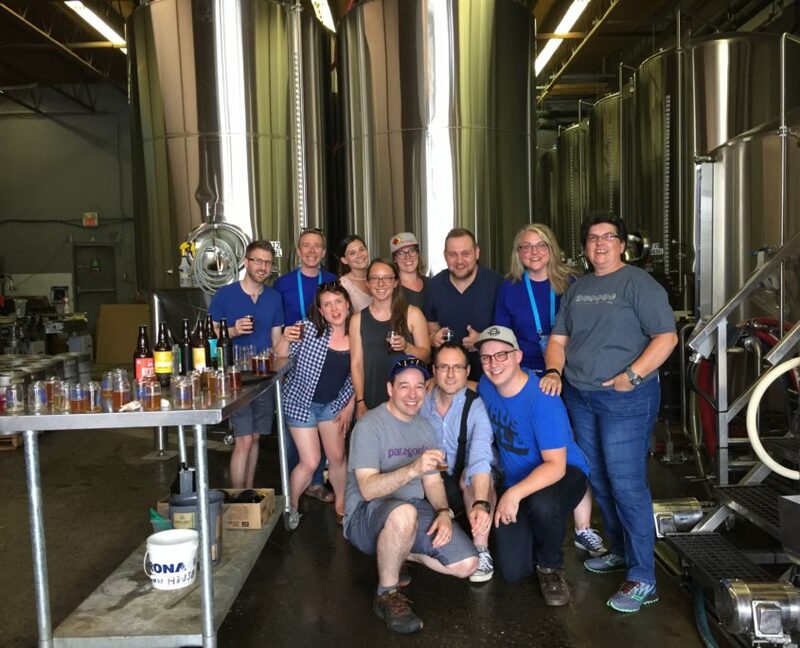 Celebrating their 5 year anniversary in July, owners Leigh and Jason Stratton had a passion for craft beer and a dream to open a brewery together. After many maxed our credit cards, Bridge opened in July 2012 as a modest 980sq. 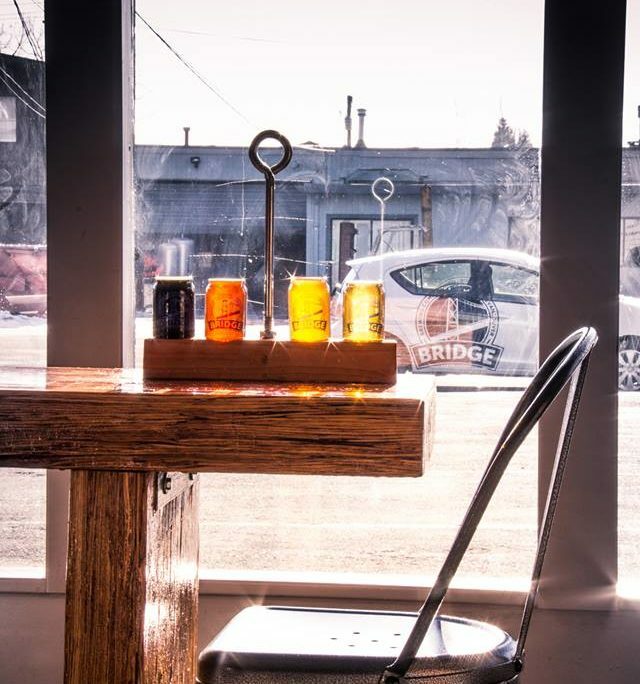 foot brewery with only 2 or 3 beers on tap at any time. Oh and the brew house kind of looked like a kitchen stove, because it basically was! 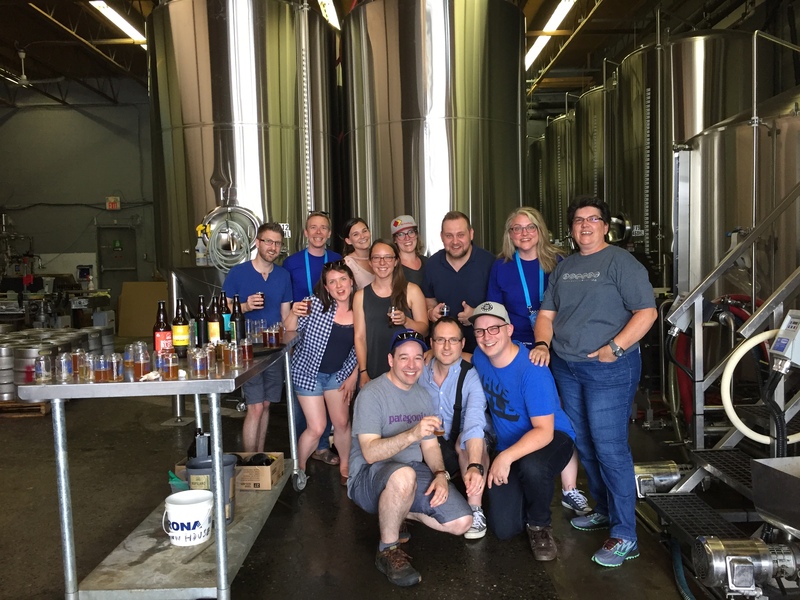 Leigh and Jason did not take on outside investors and decided to grow the business organically – funneling all their profits back into the business to support their own growth. 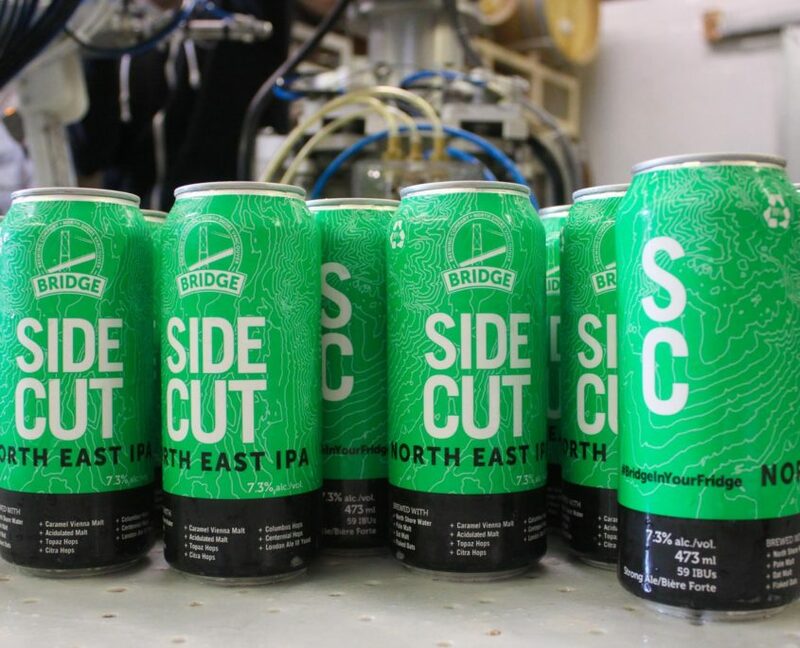 The Bridge Brewing brand was centered around the iconic North Shore and some of its most famous namesakes – the North Shore Pale Ale and play on words Hopilano IPA to name a few. They also built a brand around being family friendly and good stewards of the environment aiming for a nearly waste free facility. A History of Innovation – What the Heck is a Canpedo? 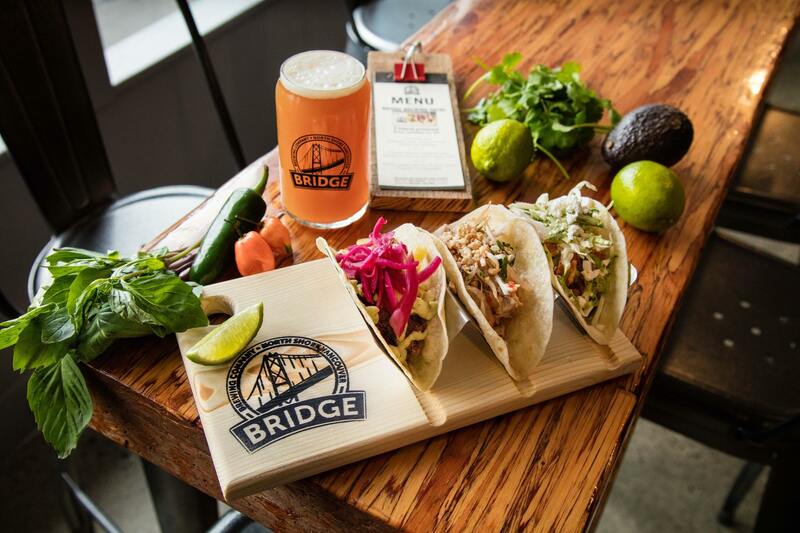 Bridge brought alot of new things to Vancouver: they were Vancouver’s first nano-brewery, the 2nd Vancouver brewery to sell growlers (behind Parallel 49 by 6 weeks), first brewery in Vancouver to sell Canpedos (think 1L beer cans – also Moody Ales in Port Moody was the 1st in BC to sell them) and the list goes on. 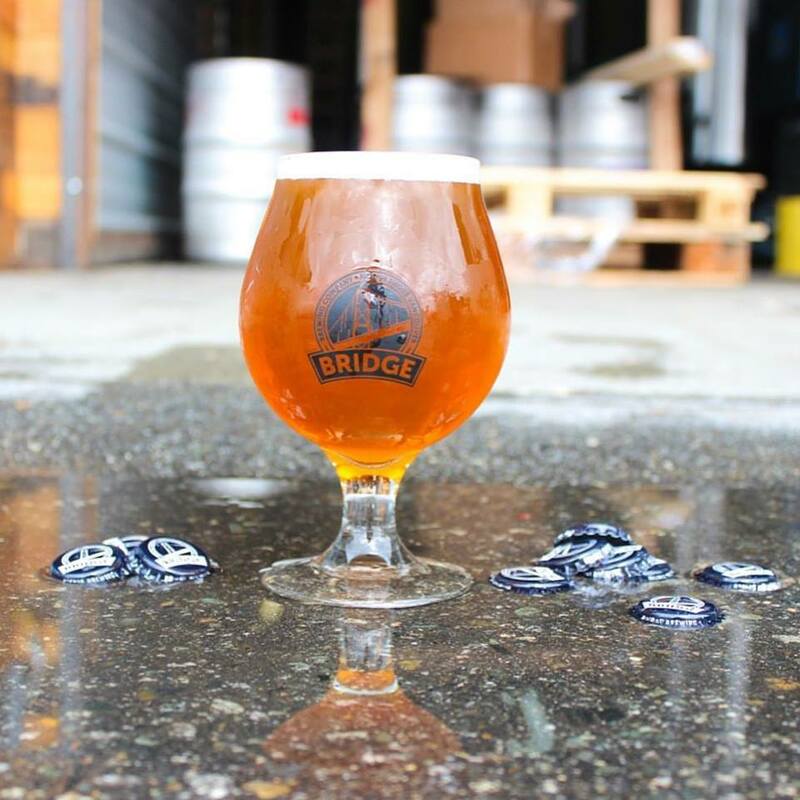 Fast forward 5 years and Bridge Brewing is easily one of Vancouver’s fastest growing breweries. 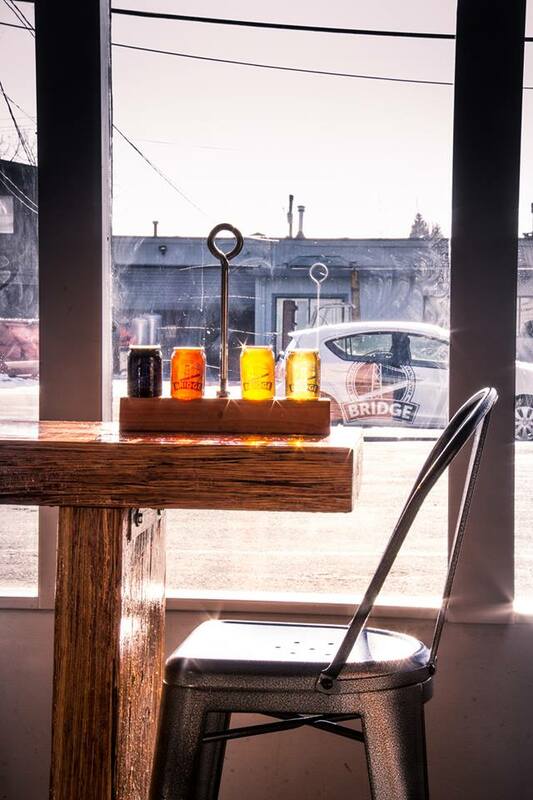 The company now offers beer in almost every conceivable vessel – flights, glasses, growlers, cans, bombers, six packs, crowlers and maybe even into your hands if you ask nice enough! 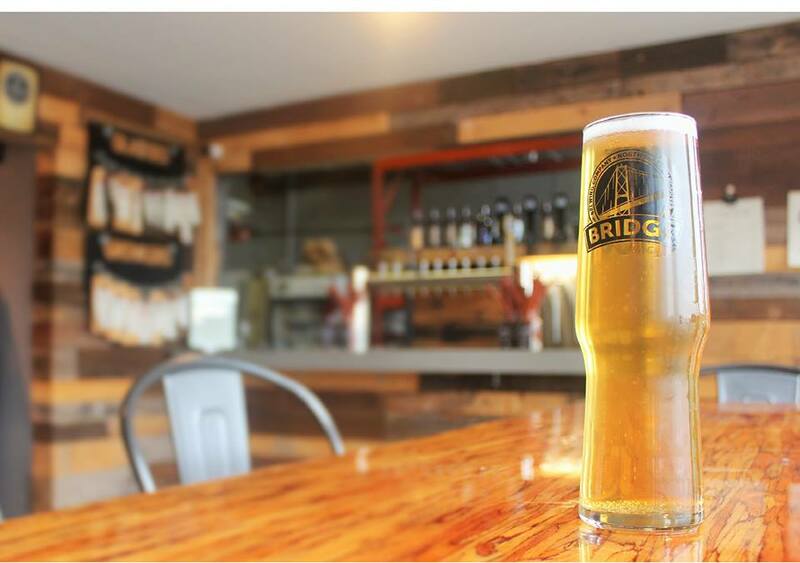 Vancouver Brewery Tours owner Ryan had the opportunity to chat with Bridge Brewing owner Leigh to catch up and discuss some of the changes and successes Bridge Brewing has seen over the years. 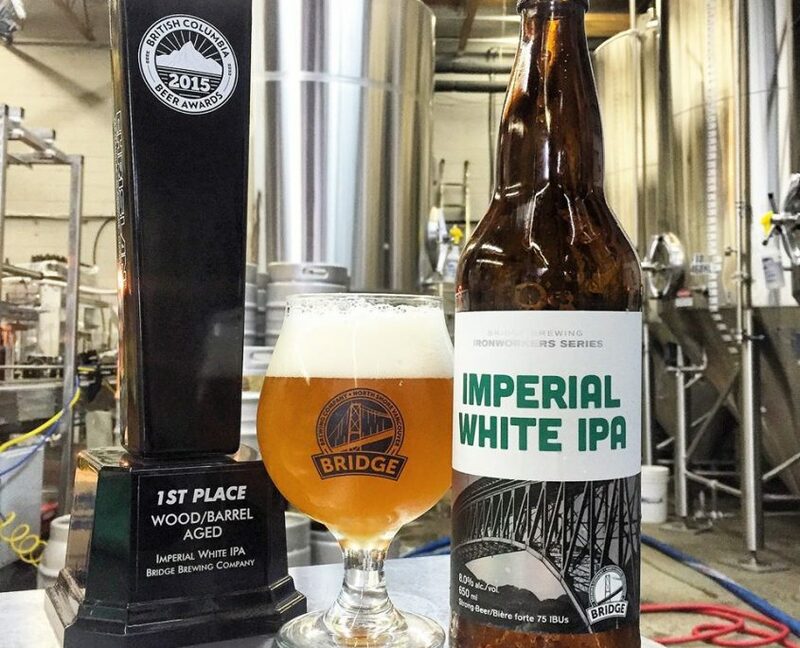 What inspired you to open Bridge? We drink a lot of beer! 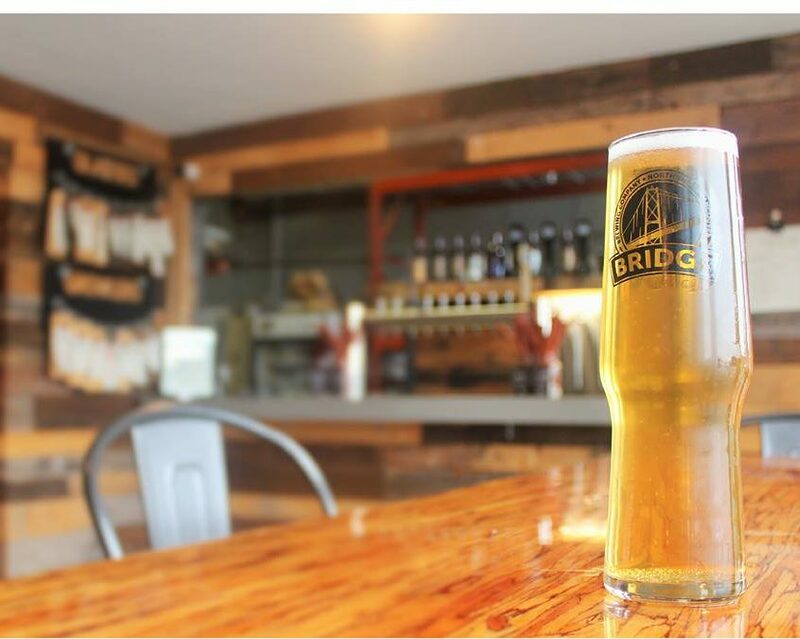 We are big believers in the local economy and food and there wasn’t much in the way of local beer. 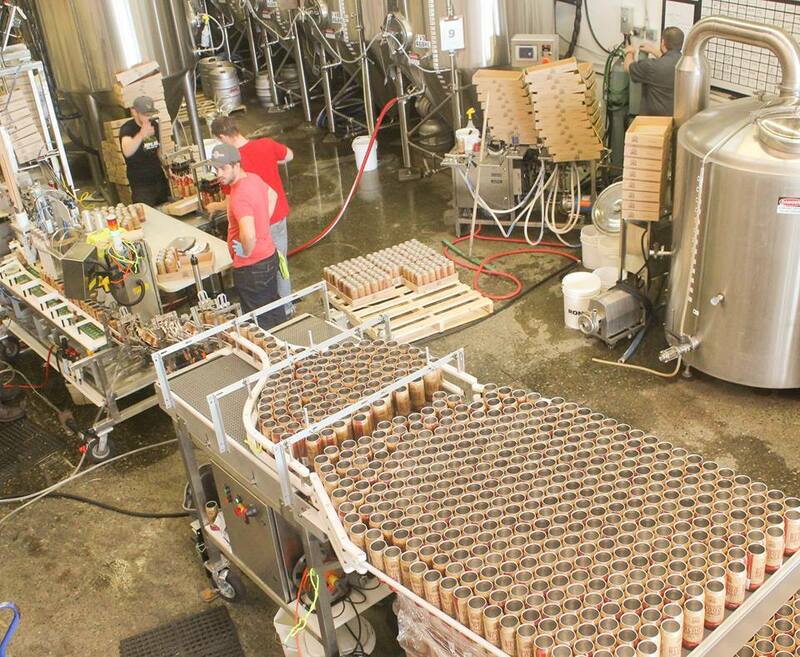 We spent a lot of time researching craft beer and were told over and over again not to do it. So of course we did. 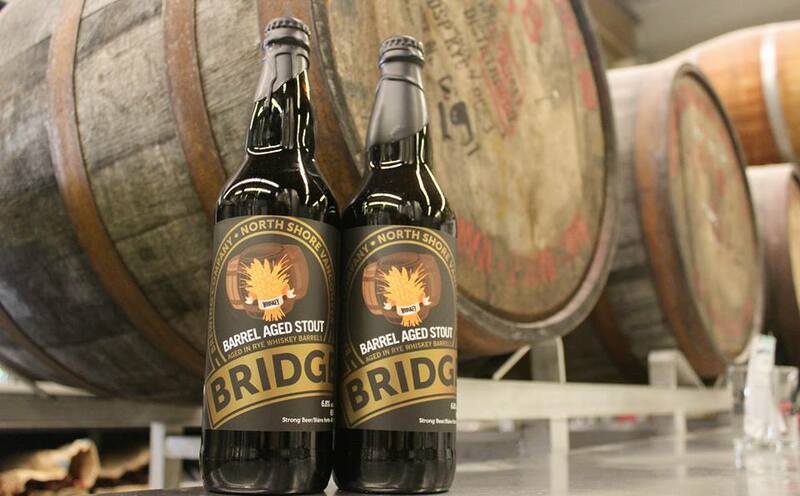 How is the Bridge of today different from when you first opened 5 years ago? 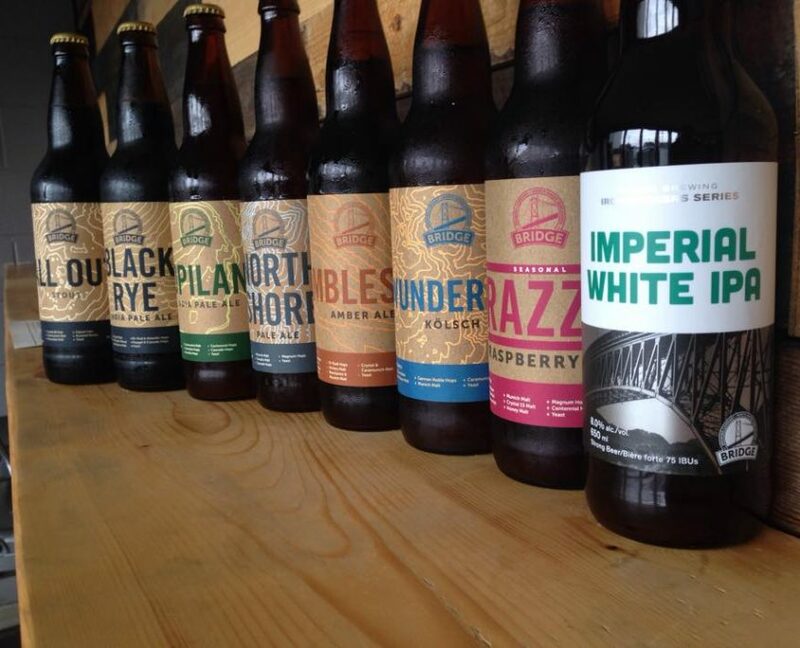 Many people wouldn’t recognize us from our original form, until you taste the beer. 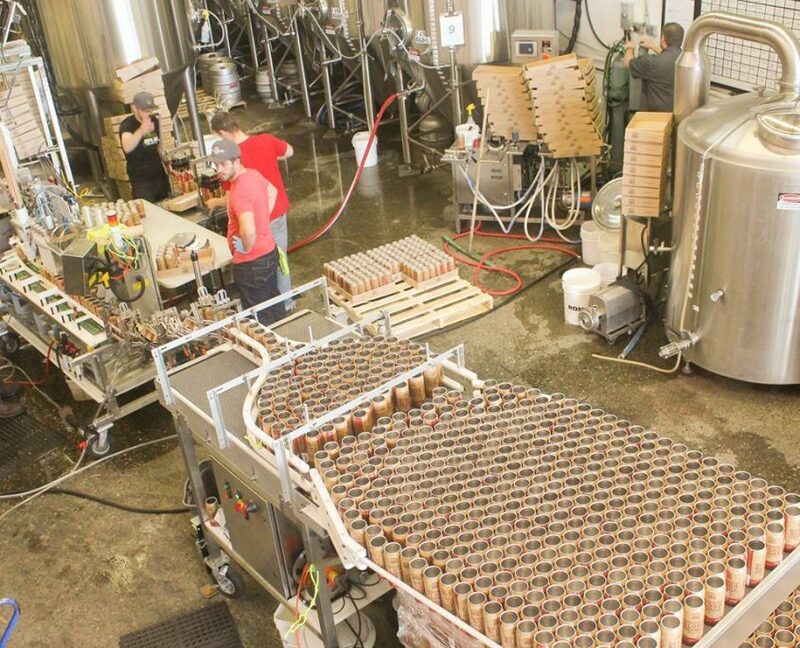 Our first priority is to always produce the best beer. We’ve never lost our focus on that and will never stray. 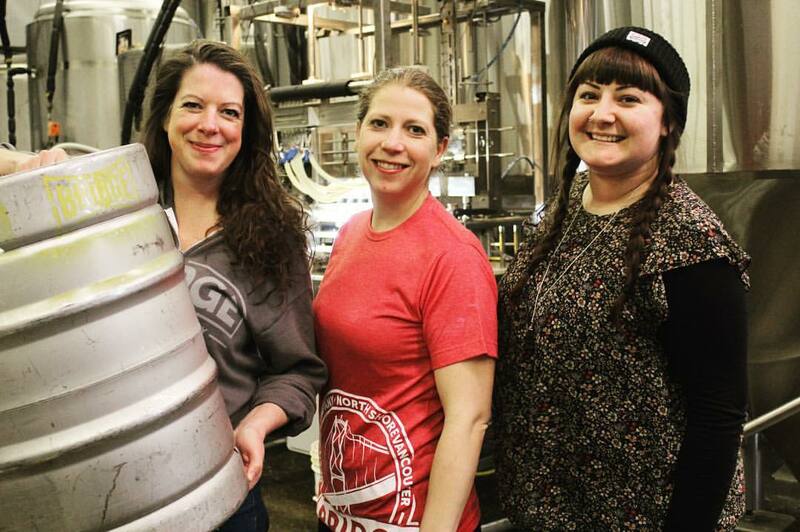 When we first started, craft beer wasn’t even a thing in Vancouver, so we weren’t sure if it would even take off. That’s why we started so small, we didn’t want to be in a position that we had to make tough choices just to pay the rent. Jason and I used to work in the brewery all weekend and now we are fortunate enough to have a great team taking care of our guests. Our branding has evolved over time to hone in on who we are as a company. 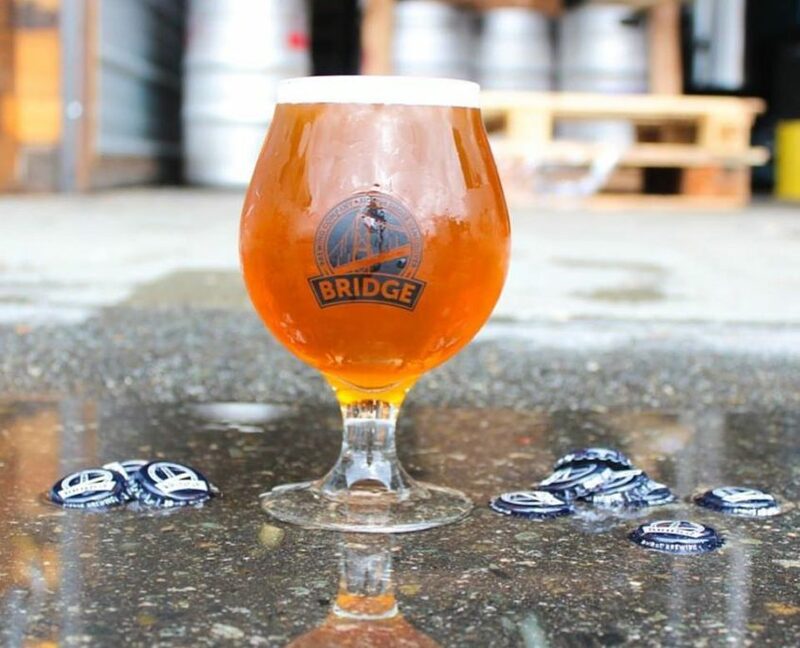 When you first started Bridge Brewing did you ever think the company would grow to the size it is today? It was always a hope that it would. Our 5 year plan was to hire our first employee, we now have 22 all with benefits. 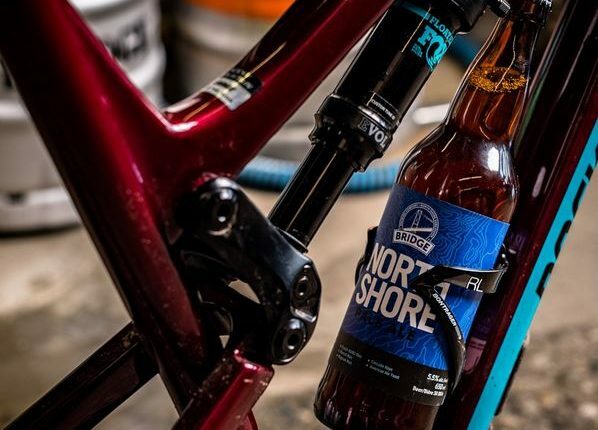 How important is the North Shore community to Bridge Brewing? 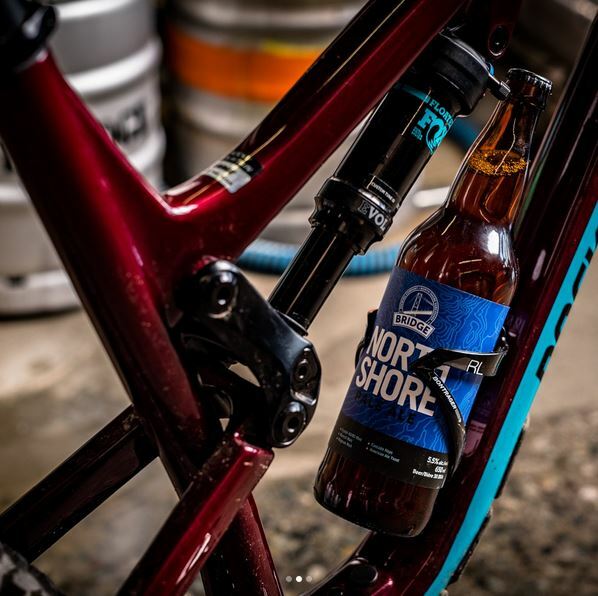 The North Shore is huge for us. We were both raised here and are raising our family here. Warehouse space is less expensive in East Van and further out, however we want to be in the community where we live. 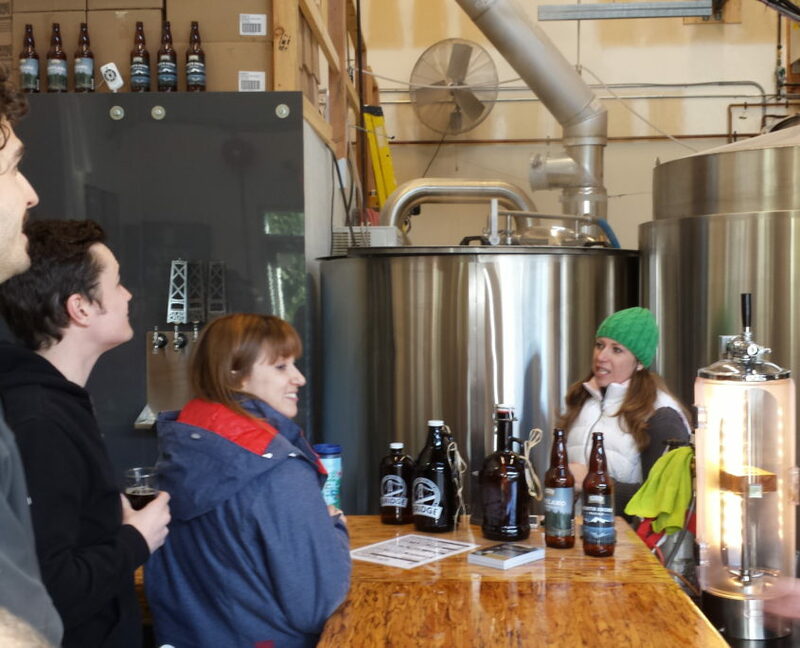 We love having a tasting room so we can speak directly with our customers and get to know them. We supports tons of local charities and school fundraisers. It’s great to be able to give back to the community that supports us. 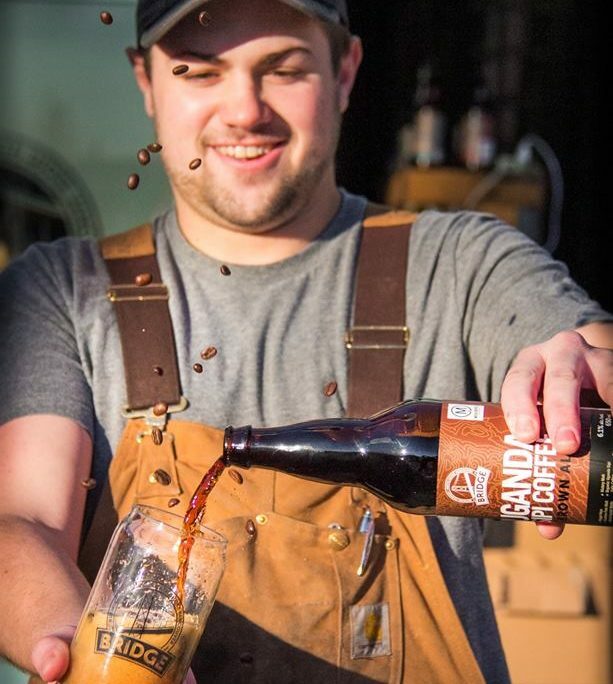 Who is your head brewer and what would you say his approach to brewing beer is? 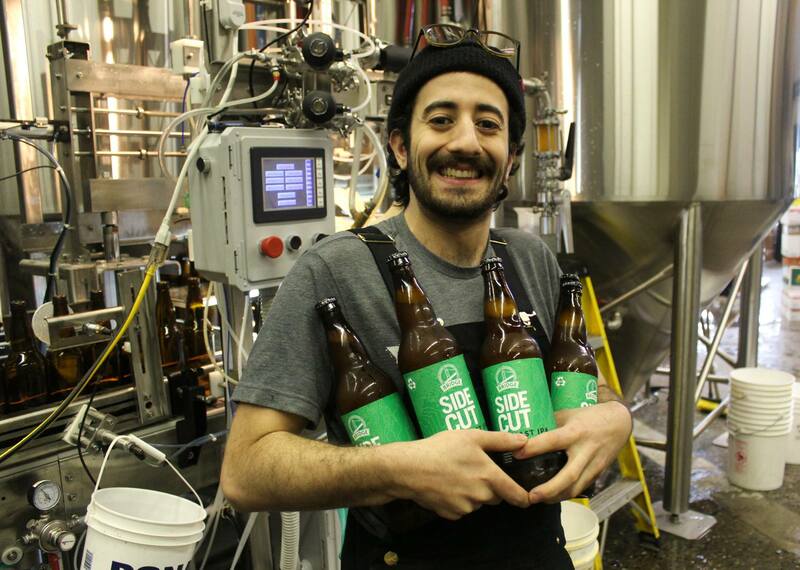 Our Head Brewer is Kerry Dyson. 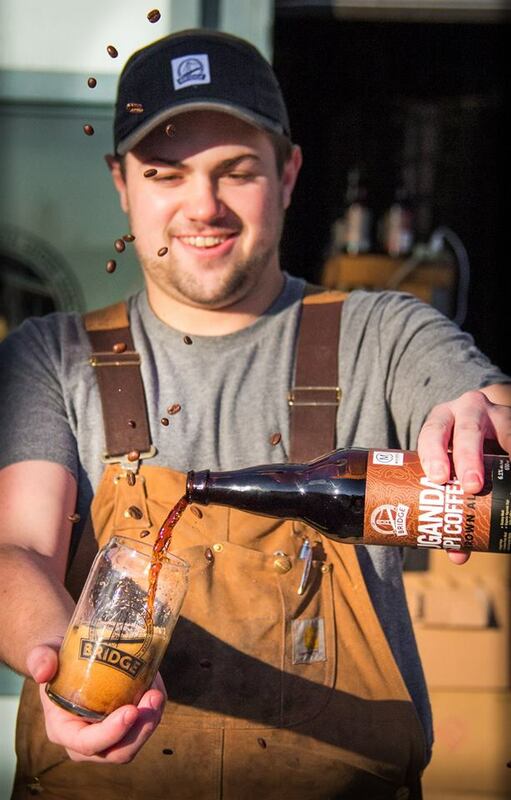 His approach to beer is always top quality with experimentations. 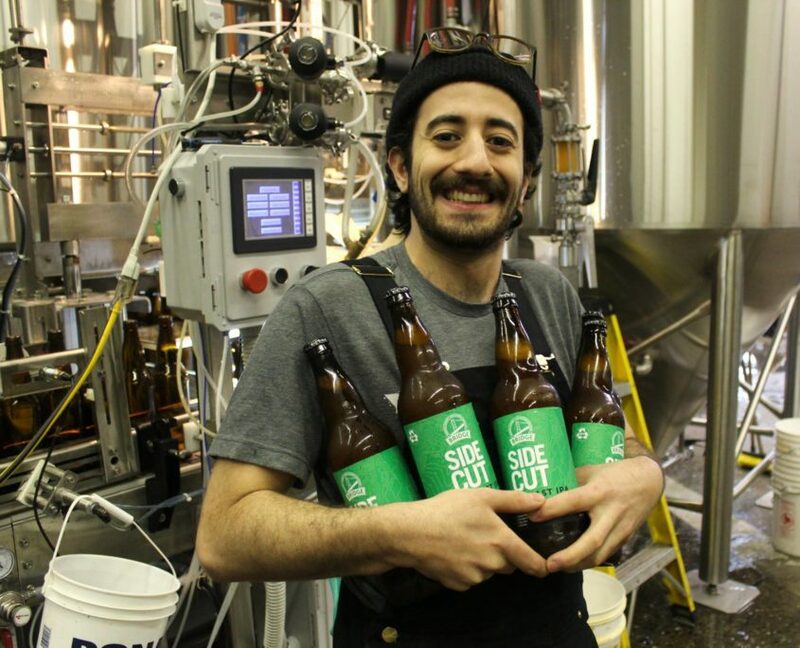 He brews with the freshest products and is always looking for new beers. When he came to us with the Milkshake IPA, we were excited for something new. 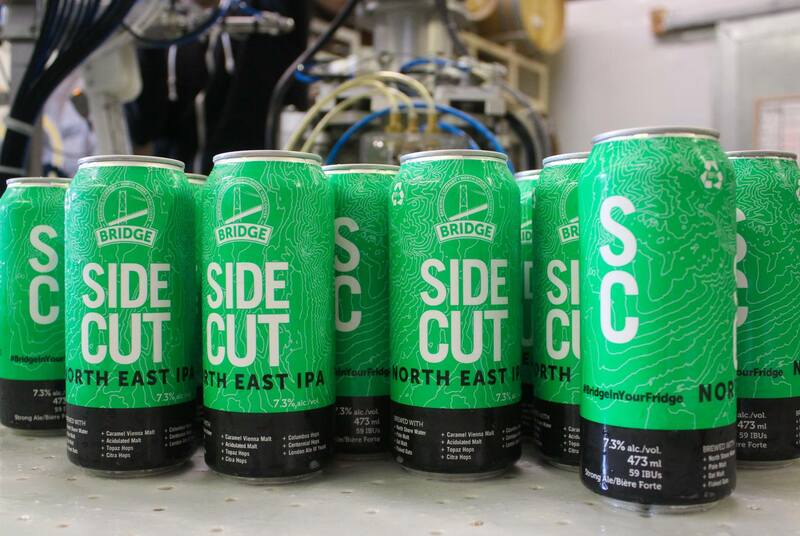 What type of packaged product is Bridge currently offering? What is your fastest growing segment? We offer lots of options. 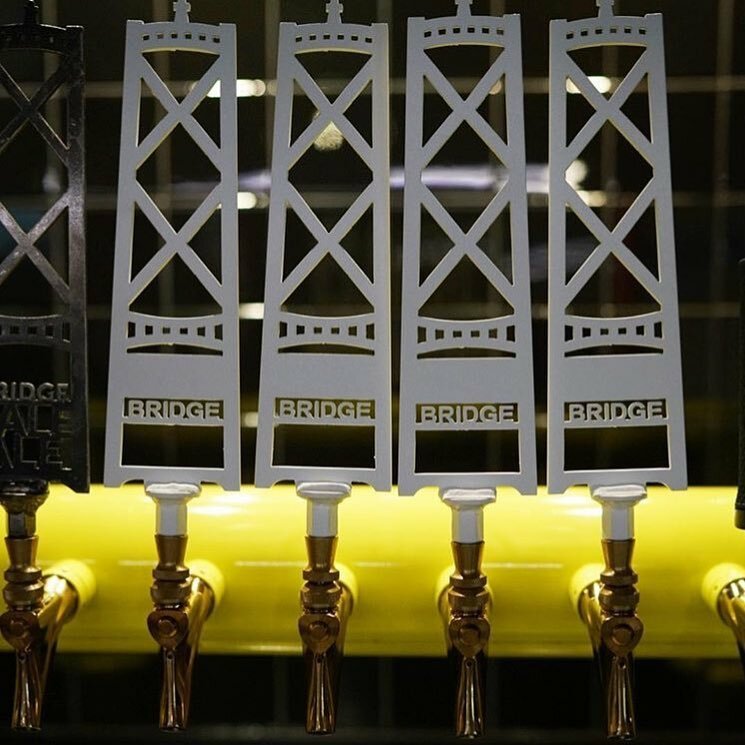 Although it’s quite the planning nightmare, we want to ensure everyone has the opportunity to enjoy our great Bridge Beer. We have 3 different sizes of kegs as some restaurants have small fridges. We have small and large bottles and cans. Where ever you are, we want you to have the selection. On a boat, hike or fine dining. You’ve recently added a taco menu into the brewery, how has it been received? Amazing! Not only do our guests love it, but I don’t bring a lunch. ever. Do you every miss working in a 980sq. 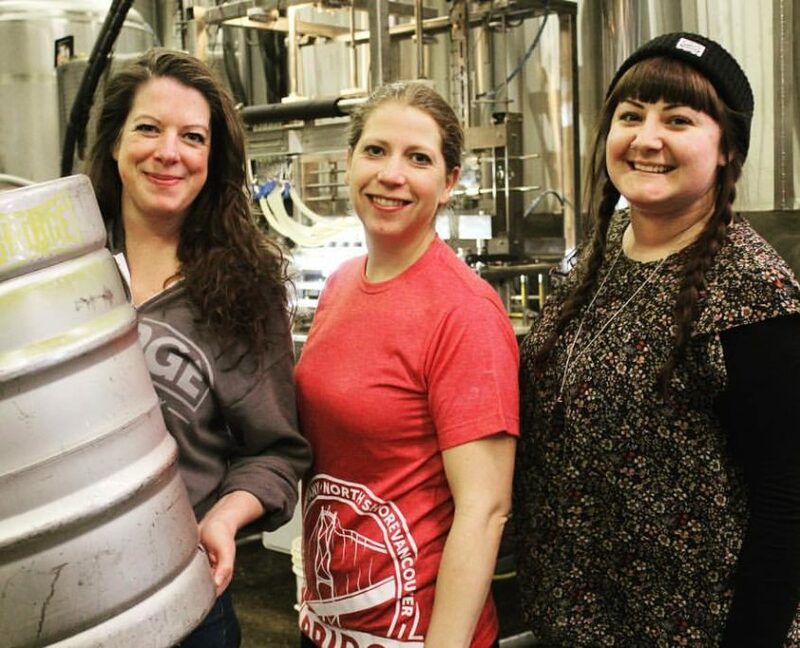 foot brewery? No. It was so tiny without any storage and we were so limited to the selection of beers we could offer. 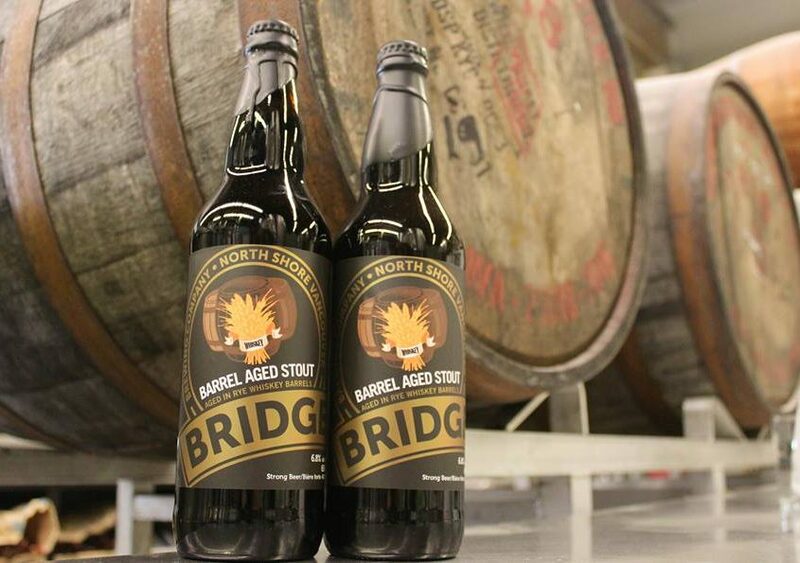 Now, if we do a small batch of something and it flies off the shelves, we can brew it again. We were too limited with the previous brewery. 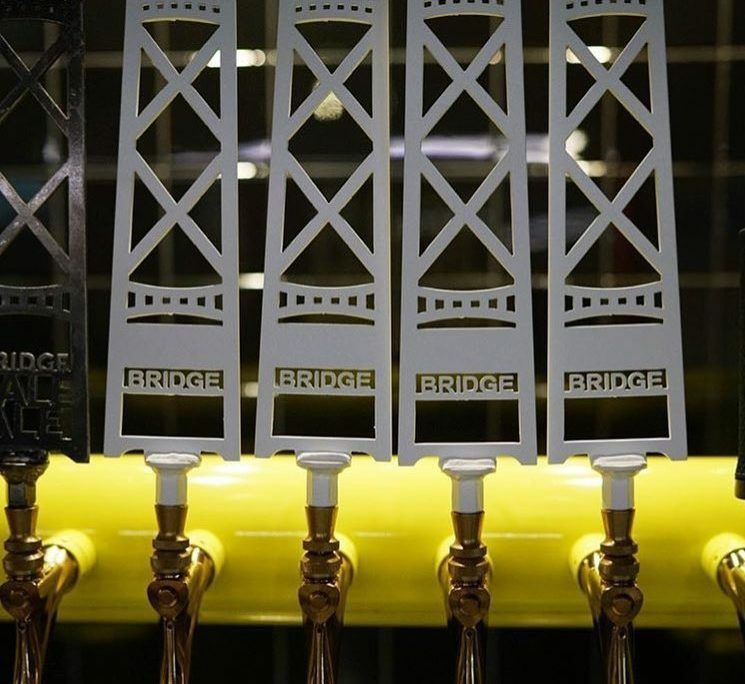 If you could pour one beer off your taps right now, what would it be and why? I love our Bourbon Blood Orange and have been drinking a lot of our Quaywi Sour, it’s only 4.6% alc/vol. 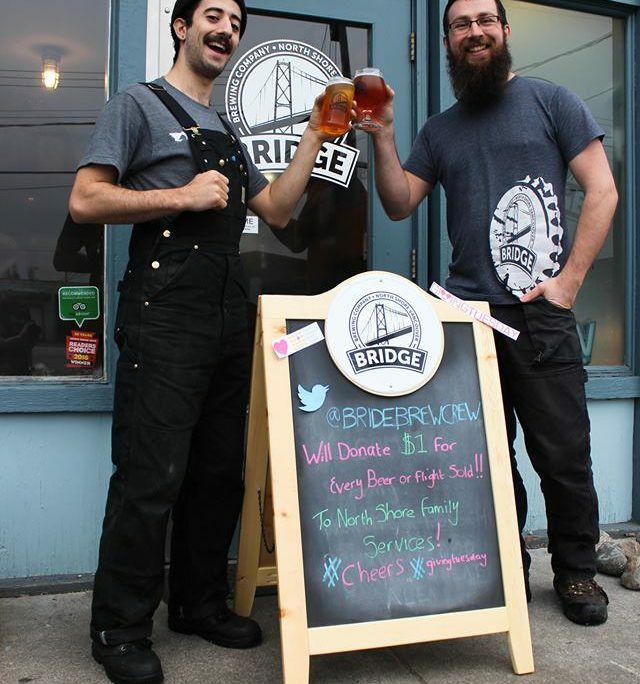 What does the future hold for Bridge Brewing? Lots of great beer! 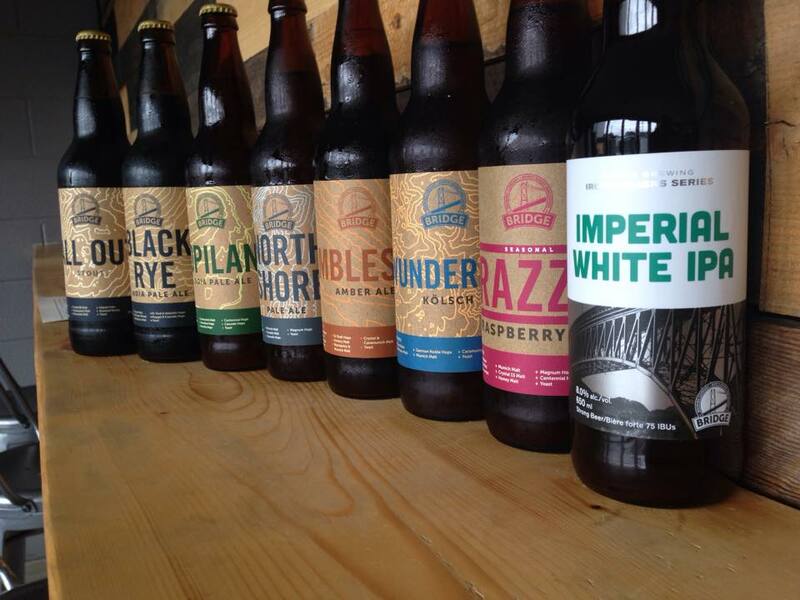 We will keep our focus on brewing only the best beer and best customer service. We are always growing, both in size and in unique brews.